It was great to meet you today at the SaltWater Sportsman National Seminar Series. I got a lot of “take a ways” from the seminar and I’d like to thank you for the information you provided during the seminar. I attended to expand my local network and I feel one of the best things the seminar offers is having local captains like yourself participating. My wife and I were truly impressed with how sincere and personable your wife was when we she was our server at Lorelei’s in Islamorada in early December. 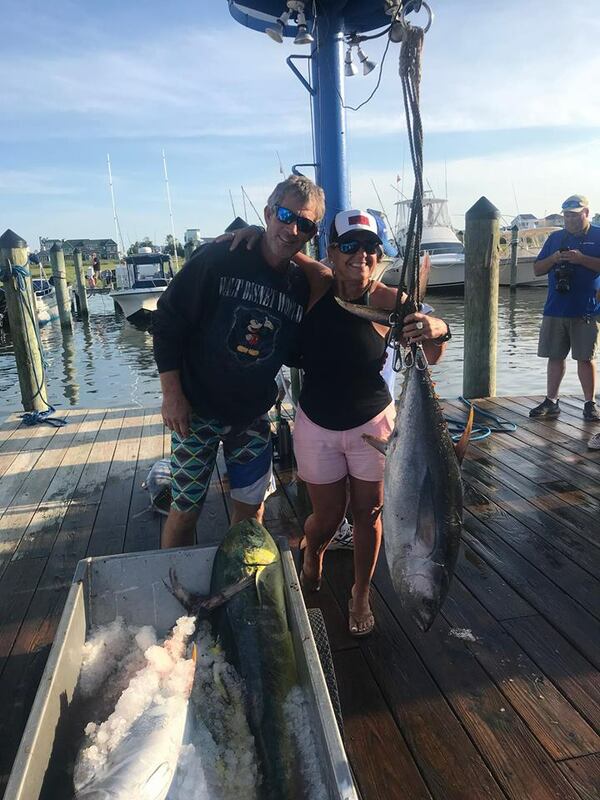 Once we told her we lived in MD and hoped to fish OC, she told us about you and your outstanding reputation as a captain in both Islamorada and OC. Both of us living in Tampa at one time knew she was more than being FL hospitable… a truly genuine good person. Please pass our thanks to her again. It was a great vacation and it is people like her that leave lasting positive impressions. My boat, an Albemarle 24, is currently in NC near the factory getting serviced for spring and stored until same. We will be moving it in April to Sunset Marina and keeping it on a rack. OC fishing will be new to me so I will be looking to gain some knowledge and may reach out to you to see if you do split charters or to see what your fee would be to go out on my boat with me. I have appropriate fishing and safety gear. Know I will be limited in my good weather fishing days in a 24. Looking for some mentoring and knowledge. Thanks again for the great seminar and I’m looking forward to talking to you in the near future. Hi, my name is Pete Roman and with my friend Sonny Bahri were skeptical. After all, Hurricane Irene just went through the mid Atlantic water days before. It can be hit or miss with post tropical storm conditions. Our experience was superb. From how the trip was booked and managed by Tim Hand who answered all our questions, to the first Mate Joe expert handling and Capt John expertise on the water….., everything went smoothly except for the ride…it was rough going with..6-7 foot rollers out to the trenches for 3.5 hrs..but worth it. Capt. John lived up to his reputation as one of the the top Capt’s on the Eastern seaboard. 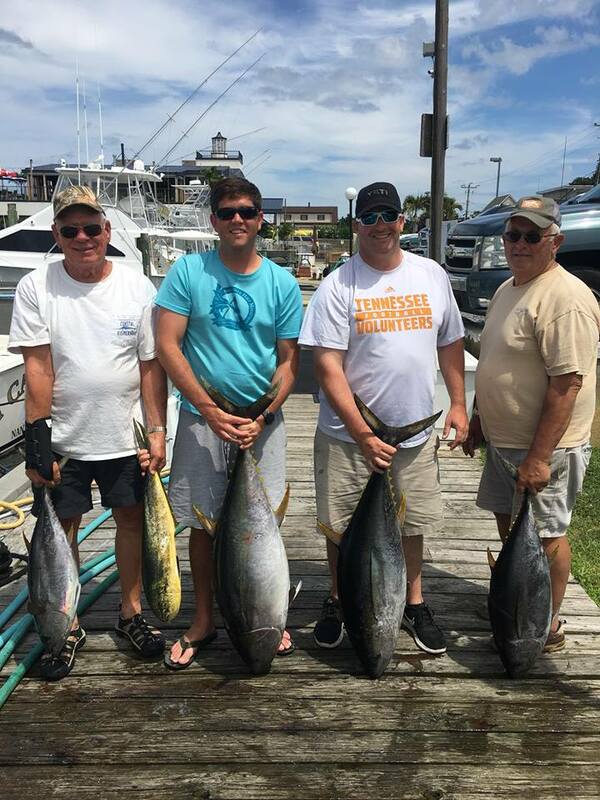 He put us on a weed line and a water temp rise that yielded 17 Mahi mahi, 4 Yellowfin tuna…one was over 40 lbs , several skip jacks and our target and reason for the trip… 2 catch and release White Marlin using circle hooks! 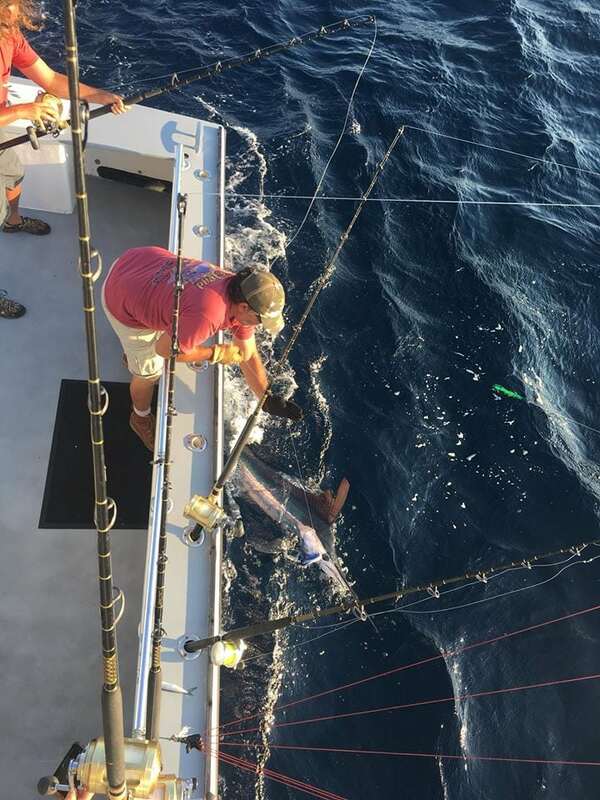 We were the only boat in the fleet to catch Marlin this day….now that’s expertise that is priceless. What a wonderful 16 hour day. Having grown up in a large fishing family I’ve been an avid fisherman all my life. Over the years my brothers and I have booked many charter trips up and down the east coast (and ports more distant). All have been memorable in one way or another. Over time we discovered not all charter captains are created equal. All want to catch fish, but some seem to find a way to succeed more than others. Capt John Oughton of “That’s Right Charters” is one of the later. No single element will guarantee you will always catch fish, but knowledge of the fishery, quality of the equipment, attitude and desire to put fish in the box go along way. Capt John and his crew on the ‘That’s Right” are 1st class in every way. There’s good reason he is invited to speak at fishing shows and seminars. 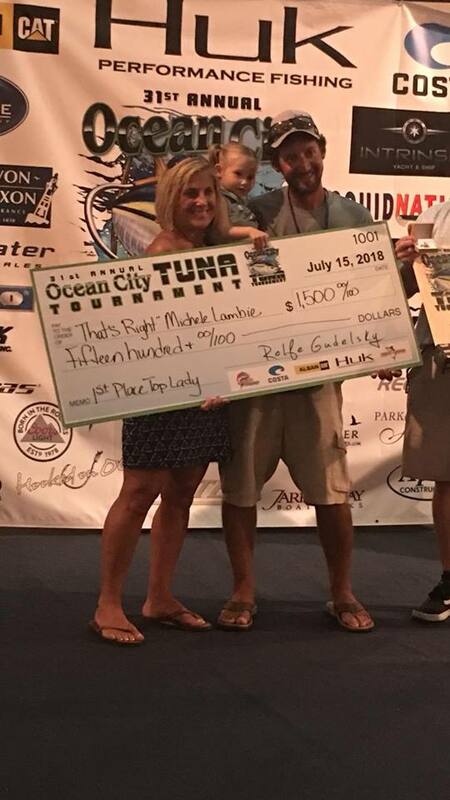 His expertise and success is also evident when you check the fishing tournament standings. I first learned of That’s Right charters several years prior to actually booking with him at an out of State Saltwater Fishing show. One thing that stuck me right off was Capt John Oughton really likes to fish. He took the time to talk about what type of fish we were likely to catch, how we would be fishing and what options we had. Capt John is on our short list of preferred charter captains. He’s a down to earth kind of guy and fun to fish with. We now make an annual pilgrimage down to Ocean City MD to fish with him. When it comes to fishing there are never any guarantees, but I will say when you step onto “That’s Right” you can be assured of two things, 1) you and your buddies will have an enjoyable trip. 2) Capt John and crew will make every effort possible to help you land fish. My fiancé and I contacted Capt John after learning about That’s Right from a dockmaster at Whale Harbor. I was impressed at the professional way he responded to my inquiry but even more with his execution. We wanted him to pick us up at our dock and take us out for sunset nuptial on Florida Bay. He took the time to visit my house beforehand to be sure of the logistics and to meet me before the big day. He and his mate arrived early and had the boat cleaned up and in ship shape. The boat itself is spacious and very accommodating, the beam makes the cockpit huge and the salon has accommodating seating and tables for serving food and libations. Our wedding on board That’s Right could not have been more picture perfect thanks to the willingness of Capt John. I have chartered boats all over the world and you simply never know how things will turn out. This is a first class operation and I would not hesitate to recommend them for anyone looking for special occasion cruising or serious sportfishing. For both our corporate and my personal trips I have chartered with Capt John for over 10 years. 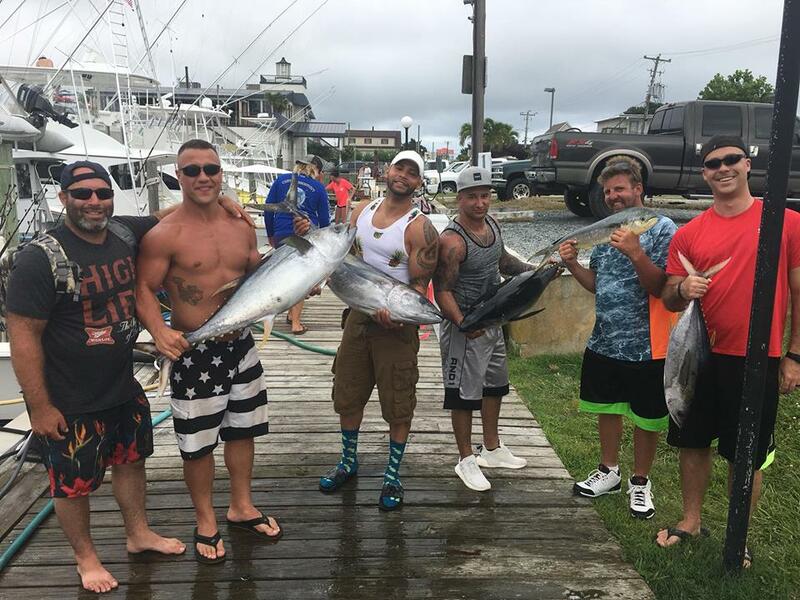 He has repeatedly provided us with quality trips offshore from Fla to New Jersey. His experience is only exceeded by his desire to put us on the fish. Capt John wants to catch fish more than I do and that is saying quite a lot. Diann and I had a great time bottom fishing with you on “That’s Right”. The cockpit is huge, we had plenty of room with 15 of us on-board, and the fishing was really good. We appreciate you putting a group together and getting us on the trip as well. As always my wife Diann caught em up put me to shame. Here is a video clip from our trip you can tell everyone had a blast! Thanks again we really enjoyed ourselves. John and his crew are the finest I have ever charter fished with on the “That’s Right”. Originally from MD, and sport fishing on friends boats to charters in many other areas since I was a kid. John and his crew are the best. The man finds fish! I took my entire family out last year, my kids and wife are now hooked on sport fishing. Thanks to John for making it a total family experience. I use John a couple times per year on both personal and business trips with clients. If he is booked I find a date that works! I wanted to thank you for the prompt and professional service. Our fishing on 7/26/10 was great. I would highly recommend your company to anyone I can and also look forward to using you in the future. Also our captain, John, was outstanding. Thanks again. 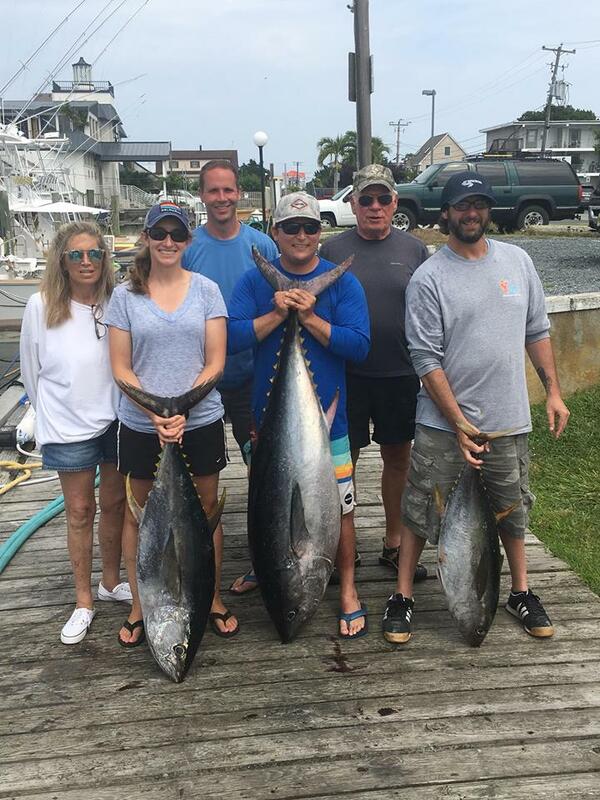 To everyone at prettyworkcharters.com I would like to send this e-mail regarding our tuna trip, this weekend (July 24th). We had a terrific time, Capt John, mates John and Neil are by far the best in the bussiness. 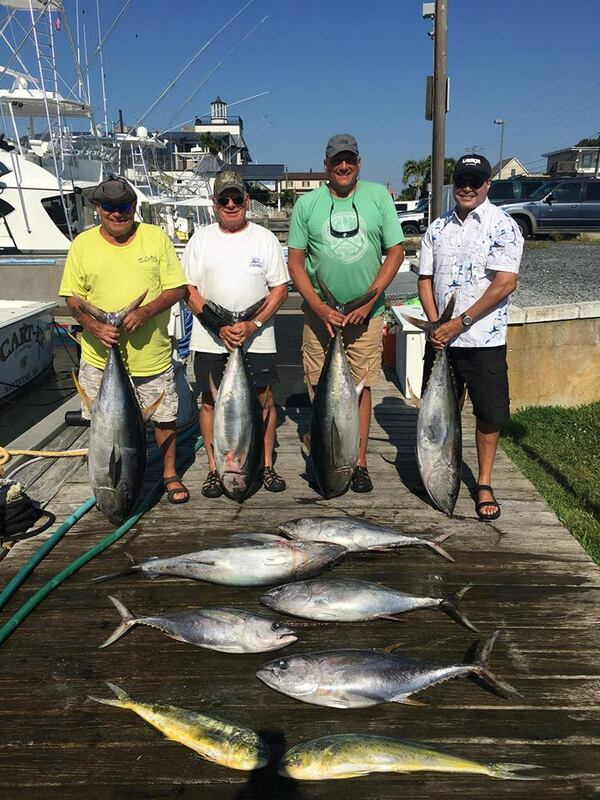 I’ve been putting a trips together for the last 5yrs, and this tuna trip was by far the best we have ever taken. I no longer have to search for a charter service. I am hooked (pun intented) on Pretty Work Charters.The whole experience was just outstanding. I hope you guys liked the Hoagies (from PA). If I had to rate Pretty Workon a scale it would be a 10. So once again thanks for the outstanding time and you will see us next year. 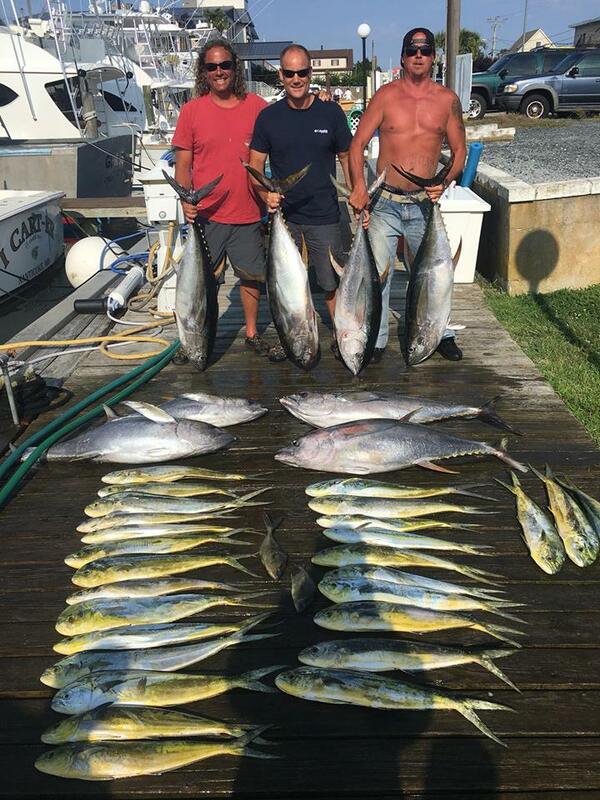 This was our second 12 hour tuna trip with you folks, last year we fished Pretty Work. I feel the need to drop you a line to say, that like last year, although your machinery is wonderful, what makes the operation magnificent is the quality of your people. Thanks for another great trip, and I’m sure we will be booking again soon!